Talk about back in the day. The Pioneer Saloon in Goodsprings, NV, was originally built from a Sears catalog pressed tin kit back in 1913. This year marks the 100thanniversary of the property that has been operating as a watering hole and a saloon for a century. The proud owners, or “caretakers” as Tom Sheckells refers to his father, Noel, and himself, have kept as much of the original structure as possible. 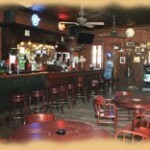 The bar (the centerpiece of any self-respecting establishment) is the original Brunswick two-piece set built in 1860. It was transported by oxen from Rhyolite, NV, according to Sheckells, and installed in the Pioneer Saloon in 1913. Many an old-time miner has rested weary feet on the same brass foot rail that tourists tap their tootsies on today. It appears that any bacchanal building that has survived and operated in Nevada for nigh unto a century has its share of ghosts.The Mizpah Hotel in Tonopah has the “Lady in Red”. 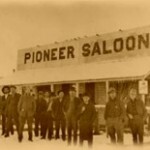 The Pioneer Saloon is host to a cheating gambler and a grizzled old miner. One apparition you won’t see is that of a desperate and forlorn Clark Gable who waited for three days at the end of the same bar for word of his wife, Carole Lombard, whose plane had crashed seven miles away on Mount Potosi, January 16, 1942. How does it feel to be the owners of such a historical site? “For the both of us it’s the greatest feeling. The Hedrick family had it for a couple of generations. It was passed from father to son. We interviewed with Don Hedrick before we bought the property almost eight years ago. He really liked the fact that we were a father and son team,” recalled Sheckells. “Every day there’s always something that needs to be done on the property.We’re really hands on. We like tinkering. It’s been a real labor of love. This fits our personality. We’re extremely sociable people. We get someone like you every day whose lived in Vegas a long time or their whole life and never knew we existed. The Sheckells have plans to one day build a hotel and a brewery on the property. 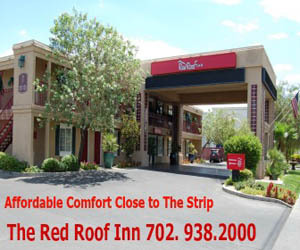 The nearest overnight lodging is seven miles way at the Gold Strike Hotel and Casino. “We’re firm in the fact that we’ll never sell the saloon. There’s nothing we could take the money with and get this much joy. We couldn’t do anything better with our lives. This is really our passion,” stated Sheckells emphatically. On any day at the Pioneer Saloon you can play good old fashioned horseshoes, grill some steaks, play video poker, enjoy a game of pool, or do some gift & souvenir shopping in the General Store. 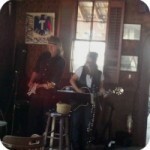 There is live music in the bar on weekends. On Saturday, May 4, there is an annual chili cook-off and a car show that the Pioneer Saloon has been hosting for seventeen years. In keeping with the true spirit of the Wild Wild West, the father and son team believes in true hospitality. “We close when the drinkin’ stops,” said Sheckells. For directions, upcoming events and to book special occasions, please visit: or call(702) 874-9362.